Meet The Hardworking Faces Powering Pragma Solutions Ltd.
Gerry has been in market research for well over twenty years. He has a background in journalism and communication, but has had an almost 100% professional life as a market researcher. He has won awards in South Africa for work he did in the West African sub region. 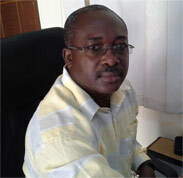 Until recently he was the General Manager in charge of research projects at Research International Ghana. Over the years he has gained extensive experience in both continuous tracking work and also ad hoc projects. Gerry`s experience in media studies centres on the Ghana All Media and Products Survey [GAMPS] and other consumer and customer related studies he led whilst at Research International Ghana in the late 1990s. He has been part of, and led a number of research projects focusing on consumer media usage, and other audience studies including almost all the GAMPS studies done in Ghana. Then a keen member of the Southern Africa Market Research Foundation, his paper won an award at the 2004 SAMRA convention in Johannesburg, South Africa. He has worked for different players in the industry, including those in the financial services and mobile telephone industry. He has been a regular participant in media conferences in Eastern and Southern Africa and bring his rich experience to the benefit of projects. Chris has been a Data entry manager, data capturing programmer and the Research Data Analyst using SPSS software for over ten (10) years. His area of competence had been felt or utilized in several studies, including for Family Health International (FHI), Unilever, Barclays Bank, Johns Hopkins University’s CCP, to mention but a few. 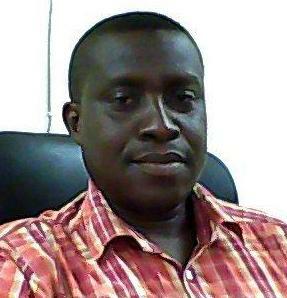 He has worked on major nation-wide projects including STD/AIDS Counseling and Service Provision for Family Health Int. (FHI) with over 1500 Respondents – 1997 and 1998; STD Clinical Research for Family Health Int. (FHI) with over 150 respondents – 1998. Vaginal Foaming Tablet User Dynamics Study for Family Health Int. (FHI) – 1998. Emergency Contraception Survey for Family Health Int. (FHI) – 1997. Also, when with Research International Ghana Ltd he was the data manager for the 1st Ghana All Media and Products Survey (GAMPS) in 1998 with over 2000 respondents while he worked with Research International Ghana Ltd as a Research Executive from 1991 to 2000. A member of a Data entry in SPSS trainer’s team to Zimbabwe in 1998, Chris has had international exposure working with an International Multinational Company namely Affiliated Computer Services –Business Process Solutions Ltd. (ACS-BPS) offshore office from the year 2000 to March 2011 . He had an Industrial attachment in Kentucky, Lexington USA. There he managed data quality assurance thus performing data entry quality checks on the medical insurance billings. He initially managed five (5) SBUs (strategic Business Units) comprising of over 450 TPs (transactional Processors) using a customized OCR (optical character recognition) software UBIE2000. He holds a Green Belt Certification in 6 Sigma thus enhancing his ability to scrutinize in data quality management. His ability to manipulate large data sheets makes him very unique in the area of data management. Ato started his market research career as a field staff with Research International from 1996. In January 2002 he was appointed a permanent staff. Since then, he has been trained to carry out training of interviewers and supervise data collection for a number of projects. He has also conducted in-depth interviews. He is currently pursuing the Ghana Institute of Journalism (GIJ) Marketing Program. In his over 12 years in research he has worked on various projects concerning Product test, Advertising evaluation, Consumer understanding and satisfaction, Habits and Attitudes, Concept testing, opinion polls on services among others and which he has gained experience on a lot of international and nationwide projects and will bring his expertise to bear in this project. Ato is responsible for coordinating the field data collection team. Mavis Akotey is an alumnus of University of Ghana and holds a bachelor’s degree in the Arts. Her interest in research was ignited whilst she was a student. She served as an intern with the research unit of A.E.D Netmark (USAID). She plays an active role in writing of proposals, designing questionnaire, data collection and analysis, report writing and presentation. 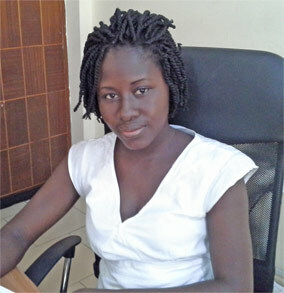 Mavis joined Pragma as a field interviewer and moved to serve in the capacity of an executive. With experience as a field staff and research executive, she has sturdy knowledge of quantitative and qualitative research. Her duties include training of field staff, field supervision, questionnaire coding and editing, focus group moderation, report writing, in puts in proposal writing, project management and performing administrative tasks.